Are Your Appointments Showing and Closing at 80% or Better? Did you know that some of the nation’s best dealers have been closing their appointments that show at better than 80% for years? It’s true. Moreover, it’s actually not that hard to do – provided those at the top of your organization are truly committed to implementing a simple, repeatable process that works. The process is called The Perfect Appointment, and when followed precisely, yields dealers up to an 80% or better Show Rate and up to an 80% or better Close Rate on shown appointments. But, it’s called “Perfect” for a reason. Shortcutting even a couple of steps can immediately reduce your shows or closes below 50%. In 2013, we officially introduced dealers to The Appointment Culture as an answer to the dozens of worthless activities we observed managers, salespeople and BDC agents conducting in some effort to appear as if they were truly setting and selling appointments. For the most part, dealership employees were “box-checking;” that is, they were reporting and saying all the right things, but the needle wasn’t moving. Of course, in the growing market, it was hard for group executives, regional managers or dealer principals to know if their teams were really setting appointments that showed and bought, or if they were getting smoke blown up their backsides. In the growing market from 2011-2016, most stores were merely faking their appointment execution as their sales teams and (especially) BDCs were basically stealing from them. We created The Perfect Appointment almost a decade ago as a strict, but simple process that would (when followed) double show rates and close rates. By continually improving The Perfect Appointment over the years, we’ve been able to help dealers achieve show rates and close rates that are often 3-5x better than what their teams were delivering before. 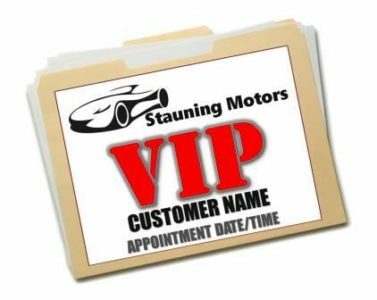 When you enact and follow this proven, four-part appointment process, you’ll immediately enjoy higher appointment set rates, greatly improved show rates, unheard of close rates and – as is true for many dealers – perfect CSI from those customers you take through The Perfect Appointment. If you’re not sure whether your current appointments are real, or if they are showing or closing at unacceptable levels, have your entire team watch the recorded version from our Undeniable Advantage Livestream training: The Perfect Appointment. Those who implement the ideas presented can expect to double their show and close rates; those that do not…. well, you know.